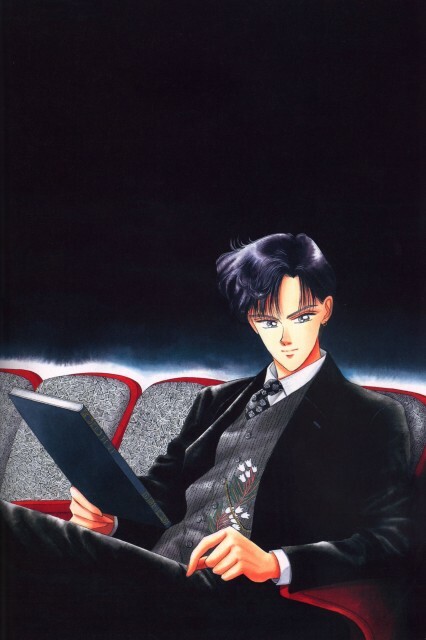 Tagged under Bishoujo Senshi Sailor Moon, Short Hair, Black Hair, Husbando. After a car accident leaves him an orphan at the age of six, Mamoru loses his memories of his current life and instead starts seeing visions of his past one as Prince Endymion and dreaming about a mysterious figure (who is later revealed to be his former lover, Princess Serenity). This leads to him dedicating his life to finding the legendary Ginzuishou, which he believes will help him regain his memories and make sense of what is happening to him. At the start of the series, Mamoru seems to constantly bump into Usagi Tsukino no matter where he goes, and takes great pleasure in teasing her (which, in turn, makes her angry). After a while, the two become closer and rekindle their relationship after Usagi discovers she is the reincarnation of Princess Serenity. Mamoru is the reincarnation of Prince Endymion, ruler of Earth, and eventually becomes King Endymion, King of Crystal Tokyo in the 30th century.